Takashi Miike rules! 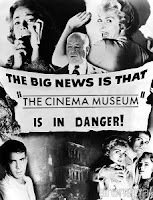 In the interests of transparency I should tell you up front I love Eastern cinema, I love Martial Arts films. 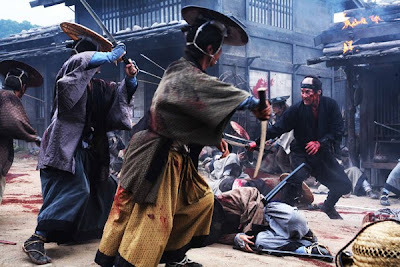 And even though I am really into contemporary films at the moment I still have a hankering for a decent Jidaigeki film. I’m also a huge fan of Takashi Miike. So when I heard that Takashi Miike was making an old School samurai film you can understand my excitement. If you are unfamiliar with Takashi Miike’s varied body of work, he is the original brilliant mind that brought us amongst many others such twisted ingenious works as; the Black Society Trilogy, Audition, Gozu, Dead or Alive, western Sukiyaki Western Django that includes a cameo from Miike fan Quentin Tarantino, The Man in White, the Box segment in Three... Extremes, Ring throwback One Missed Call and the classic Ichi the Killer as well as off the wall fare such as Zebraman. Although much of his work is Yakuza based his films cover a range of genres and themes that vary from allegorical tales through gore to family friendly tales. As well as film, his works span live performance kotobuki, TV shows as well as acting – he was the Japanese business man in Eli Roth’s Hostel. 13 Assassins or Jūsannin no Shikaku is Takashi Miike’s take on a 1963 samurai film of the same name by Eiichi Kudo and in essence is a chambara (sword fight) film. It is set in the Tokugawa era when the way of the Samurai was coming to an end as changes in society, pretty much made them redundant. 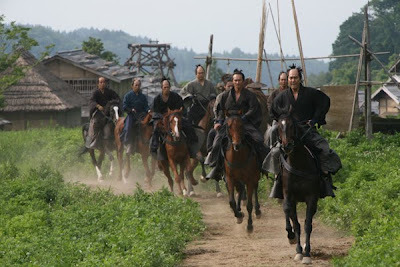 Tom Cruise’s The Last Samurai was set to the same backdrop. 13 Assassins is about the rise of a tyrannical overlord Naritsugu Matsudaira (Gorô Inagaki) that has little or no concern for the people, in fact it comes to light that he is brutally psychotic and out of touch with any emotion. Because of the feudal system any action or even inappropriate words against the Lord would have severe repercussions from his older brother the ruling Shogun. And more importantly dishonour and shame would be brought on the name of the offending party. 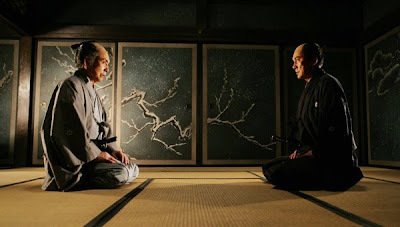 But when Lord Naritsugu proves to be more brutal and heinous than any one can bear and after being personally affected senior official Sir Doi (Mikijiro Hira) calls on legendary ex Samurai Shinzaemon Shimada (Kôji Yakusho) to please intervene. Shinzaemon jumps at the chance to come out of his early retirement and it’s on. Shinzaemon Shimada and Sir Doi rally all the help they can get. But not just anyone will do and only those deemed worthy can join the band of brothers, leaving them with a dozen trained men to fight a small army. 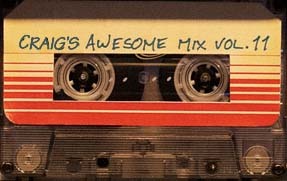 And all knowing that in all likelihood this may be their final glorious job. A further complication is that Shinzaemon’s respectful rival from his military days is Lord Matsudaira’s reluctant head protector and he has as many strategic tricks up his sleeve as Shinzaemon. So the scene is set for a blood explosion as both parties head to the same small town. 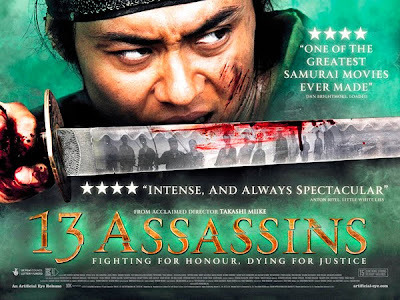 It’s an experience watching most Takashi Miike's films on the big screen but 13 Assassins is a particularly good one. Heavy on sword fights, blood, codes of honour and shock sprinkled with some much needed humour to go some of the way of balancing it out. Characterisation is engaging and whilst each Samurai is different Miike never allows 13 Assassins to slide into a typical rag tag ban of brothers on a mission film, it stays true to its roots throughout. While 13 Assassins is a tale akin to Akira Kurosawa‘s Seven Samurai and stays true to the same themes but 13 Assassins is a story about life in another time and place when honour and tradition were valued above all else.